Hey there and welcome to November. Yes, November. I'm shaking my head too. Well, It's time for my second reveal of the day. This one is for Stuck?! Sketches. We have teamed up this month with Scrap It With A Song. 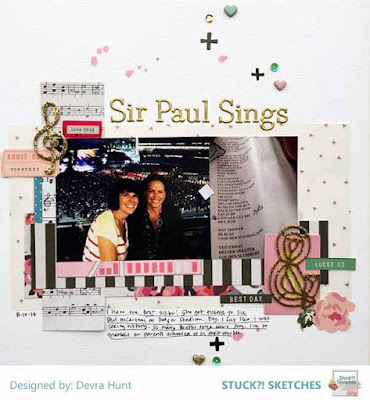 If you use our sketch and inspiration from their song, you can enter your project on both challenge blogs. Here is my page using the sketch and Octopus' Garden as inspiration. I used 2 photos, but changed their size. I used several patterns, so I opted to keep the edges straight and not create the flagged edges. To balance the page, I also flipped the placement of the title and journaling. My sister and I were at the Paul McCartney concert in Los Angeles last summer. The photo of us is a selfie, and the second photo is the set list, which included many old Beatles favorites. How is this related to Octopus' Garden? Well, Sir Paul was in The Beatles, and Octopus' Garden is a Beatles song. A stretch? Yes, but pretty relatable just the same. That's it for today. Join us at Stuck?! Sketches for this challenge and your chance to win a prize provided by our generous sponsors. Thanks for stopping by my creative view today. I'm off to a good start this month. I hope to keep it up. 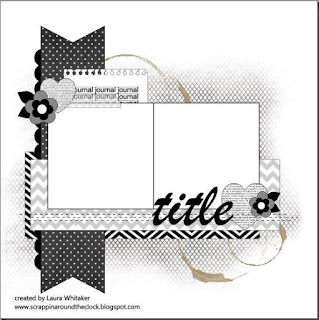 Such a great page, love that you incorporated journaling and all the sparkly bits! Hi Devra, thanks for visiting us at SIWAS. Hi Devra thanks for playing along with SIWAS. 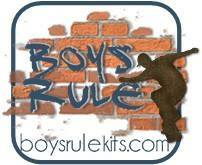 We have our linky tool up and running now so please link up. Thanks. Devra I added your layout on our linky tool. Thank you for playing along with us. Your layout is awesome! I love your page. I am in awe of you seeing Paul McCartney. I really love the gold accents you have placed on your wonderful page. Thank you for playing along with SIWAS. Fun LO, love those glitter trebel cleffs. Thanks for joining us at SIWAS. What a wonderful page, how great you've join a concert of him, must have been a great show!! Thanks for playing with us at SIWAS ! I love your connection to Octopus' Garden! That is so wonderful that you got to attend the concert and your journaling really shares the thrill of hearing those Beatles songs being performed live! The gold and the music elements are great choices on this page! Thanks so much for sharing!